Sports merchandisers continue to bring out the new and best items every season meaning it is important to set yourself in the market with the best designed products to increase your branding competitiveness. 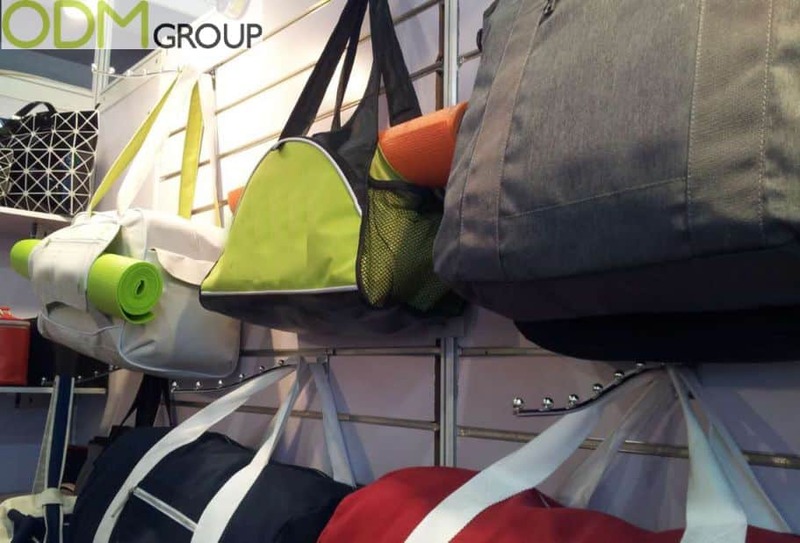 These branded gym bags are a great way to ensure that your brand remains competitive in the industry due to their mobility. A mobile promotional product will means your brand will be notice by everyone on the move, in the gym, and at sports events. Overall, these branded gym bags would make the perfect promotional merchandise for sports industries, fitness companies, and even healthy living companies. 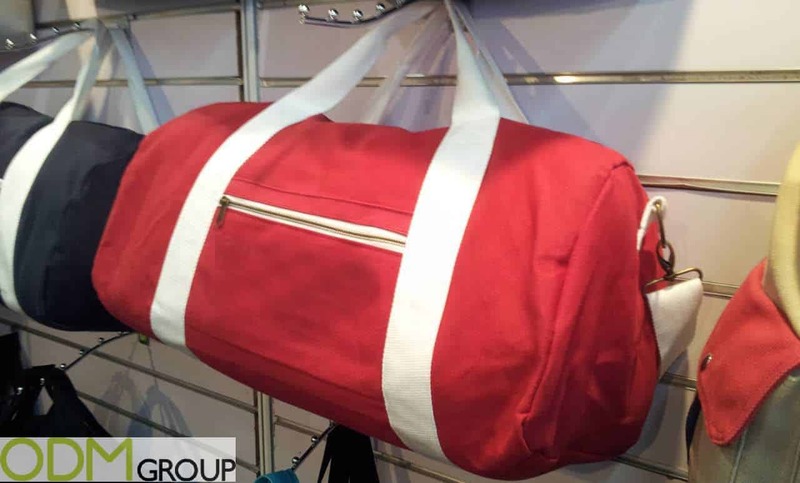 These gym bags are made from a sturdy material, making it suitable for carrying all of your sporting equipment, shoes and sports clothing for your workout. What’s more, they even have straps that can be used to hold your yoga mats and any other larger items, as well as large side pockets meaning its practical. There is strong branding potential for these gym bags also as they can be pantone matched, allowing for an exceptional representation of the logo and there is a huge branding area to customise and add your companies brand, image and slogan for example. Such clearly visible logos are important for promotional items to get your brand noticed, and these promotional gym bags do this well. Increase Perceived Value. As a brand has status, it emboldens that status with promotional products, and merchandise. This is especially true for sports merchandise. Every big football club has a plethora of branded bags, scarves , water bottles, all great items to bring about brand exposure. Purchase with purchase. A great use for promotional gym bags is purchase with purchase. Sports merchandise is often used this way to drive sales via a discounted bag or bottle alongside a purchase of another item. Shoes is a popular example of this. Purchase with purchase is a great way to add value to your product, increasing sales. Varied product portfolio. Adding products to your portfolio can really flesh out your brand, an empty web shop never fares well for businesses, and using promotional products for retail purpose is a great way to expand your product portfolio, while simultaneously benefiting your branding potential. These branded gym bags are perfect for your every day workout, and nice to keep your work out clothes separate from your daily items. If interested in knowing more about this promotional product feel free to contact us at ODM and quote ODM- 1183 to a member of our sales team. Feel free to check out some more promotional ideas for the sporting industry.